Thank you to all of our speakers, presenters, attendees and volunteers for making Makeover Montgomery 4 such a success! See you at Makeover Montgomery 5! Evaluate the Makeover Montgomery 4 sessions. Access session recordings, presentations and speakers bios. Find out how to get to the conference and where to stay. Evaluate the the Makeover Montgomery 4 sessions. Following the success of our collaborative conferences held in 2011, 2014 and 2016, the Montgomery County Planning Department and National Center for Smart Growth are holding Makeover Montgomery 4: Competitive, Healthy, Inclusive and Smart Communities. The three-day conference is from May 9 through May 11, 2018 in College Park and Silver Spring, MD. It will bring together planners, architects, developers, real estate professionals, economists, social scientists, ecologists and others to discuss cutting-edge ideas for transforming the suburbs. How must American suburbs change to be competitive in tomorrow’s economy? This track will tackle issues related to developing a diverse, educated and sustainable workforce, as well as other strategies for economic development and job growth. Topics include workplace innovations, mixed-use strategies and building the creative culture necessary to succeed in emerging markets. What can suburban communities do to encourage active lifestyles for their residents? Advancing state-of-the-art approaches to increase walkability, reduce the stress of cycling and enhance recreation opportunities, this track will identify ways to create energized and engaging public spaces for healthier communities. Additional track topics could include access to healthy food and innovative concepts like park prescriptions, which partner parks departments with health insurers and medical doctors to encourage healthy living through exercise and outdoor activities. How can our increasingly diverse suburban communities promote equity for all? This track highlights efforts to inspire and educate community leaders to tackle issues of environmental justice, advance opportunities for affordable housing and uphold tenant rights. How will advancements in technology improve public services, change how our communities function and impact growth patterns? This track will address the planning-related impacts of big data and crowd-sourcing analytics, implementation of data sensors and smart technologies, and increased use of drones. Additional topics include the integration of autonomous vehicles and the role of technology incubators. 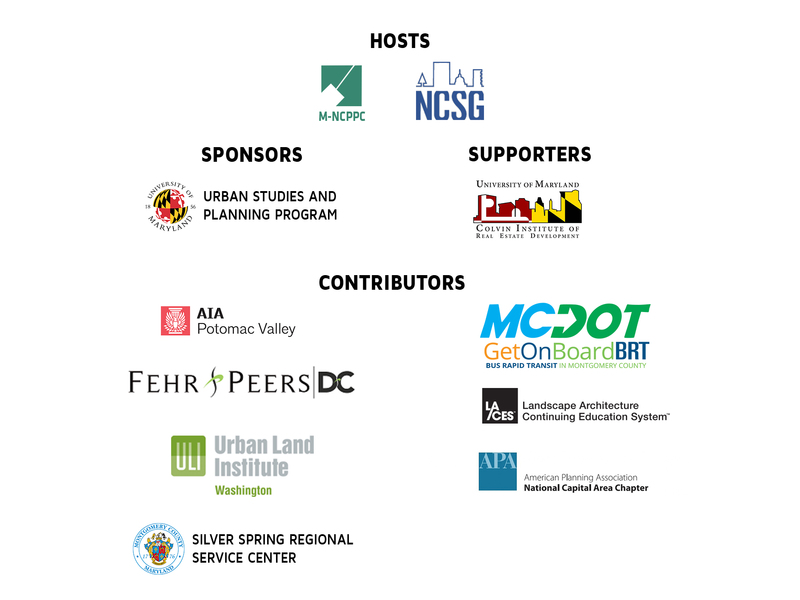 Makeover Montgomery 4 is being organized through a partnership between the Montgomery County Planning Department and National Center for Smart Growth at the University of Maryland. The 2018 event follows similar conferences held in 2016, 2014 and 2011 by the Montgomery County Planning Department and University of Maryland. All Makeover Montgomery 4 sessions have been approved for LACES credits (AICP CM and AIA CE credits are pending).